If you are doing a quick prototype or you don't have internet access, start with moving your secret settings outside of source control folder to User Secret store. User Secret store is a file saved under user profiler folder, so secrets are not checked in to source control. The following diagram demonstrates how User Secret works. 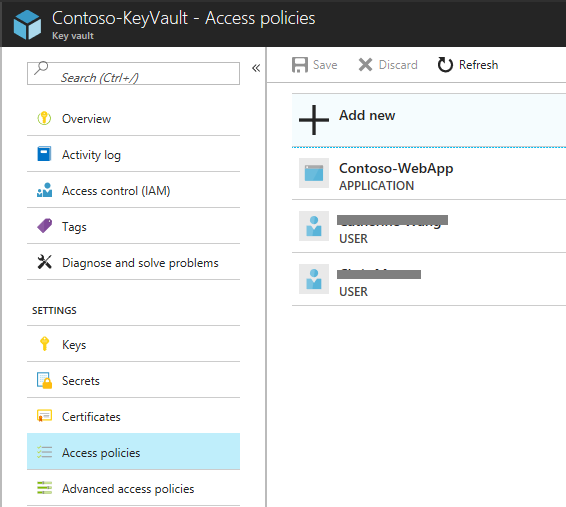 If you are developing a project and need to share source code securely, use Azure Key Vault. 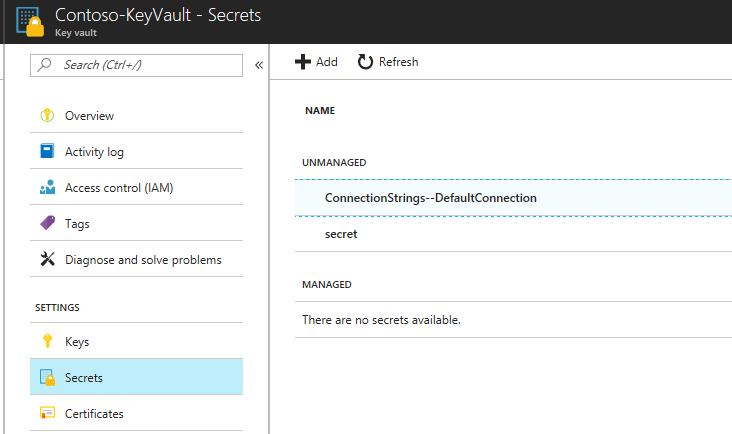 Add your secret to Key Vault on Azure portal. For nested configuration settings, replace ':' with '--' so the Key Vault secret name is valid. ':' is not allowed to be in the name of a Key Vault secret. 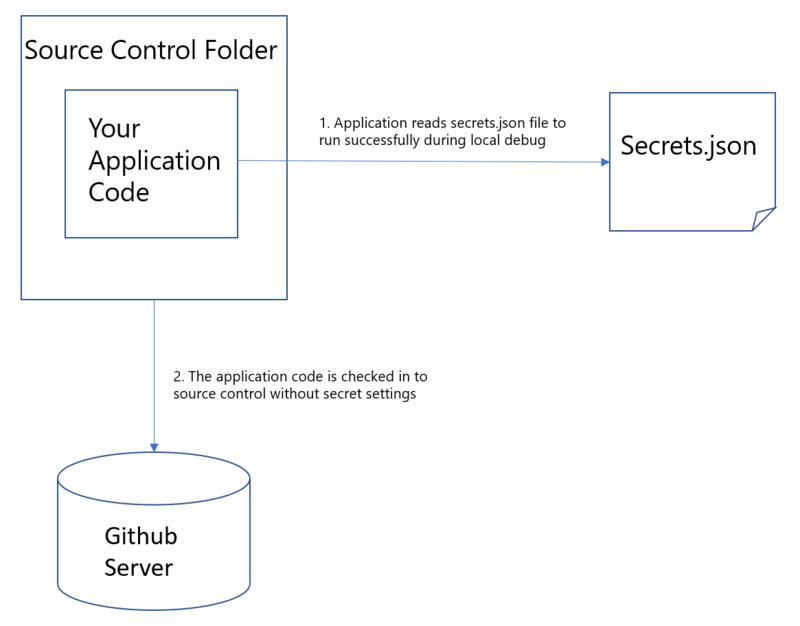 .NET 4.7.1 supports Key Vault and Secret configuration builders, which ensures secrets can be moved outside of source control folder without code changes. To proceed, download .NET 4.7.1 and migrate your application if it's using an older version of .NET framework. 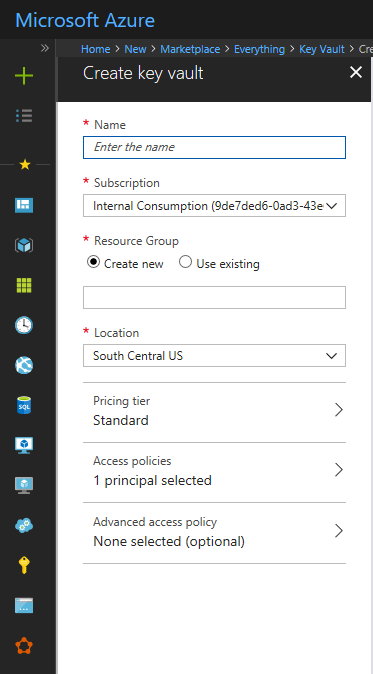 If you are writing a quick prototype and don't want to provision Azure resources, go with this option. Create a file that's similar to the follow. Save it under a location outside of your project folder.